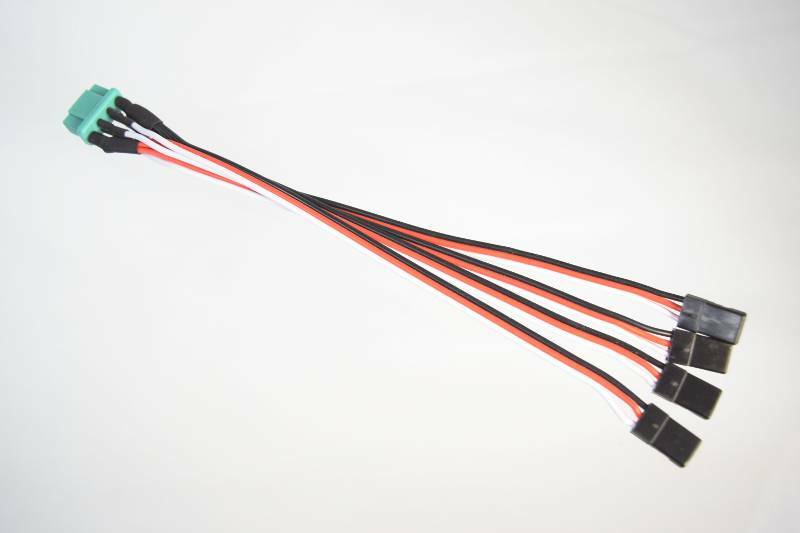 Our wing wire harness makes wiring up your new plane easy! High quality components that are professionally wired. 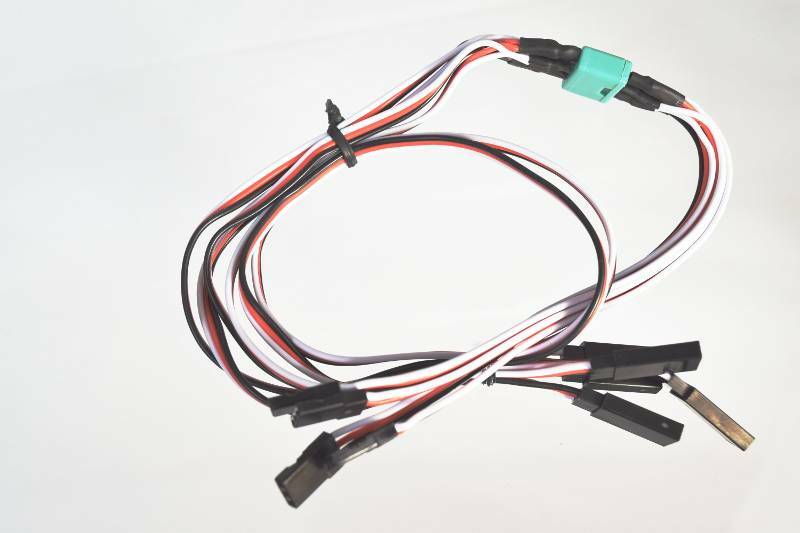 Our wing wire harness starts off with gold plated connectors, then we select high quality copper servo wire with supple wire insulation. 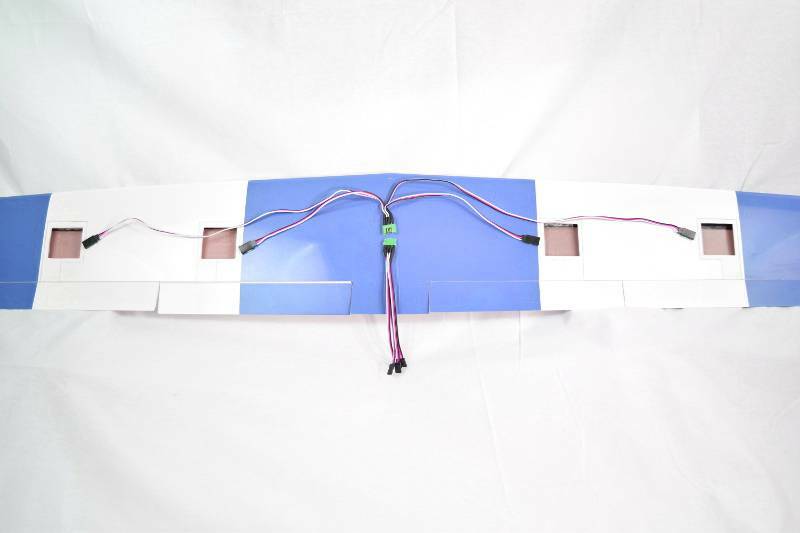 This harness is designed to fit many 60" (1.5 meter) wingspan aircraft. The flap length from the wing connector is 9 inches (23cm) and from the aileron lead is 17.5 inches (44.5cm). The receiver side leads are 6 inches (15.5cm) long. Each wire is carefully soldered and heat shrunk to the 6 pin connector. All other connections are professionally crimped and use gold plated terminals.